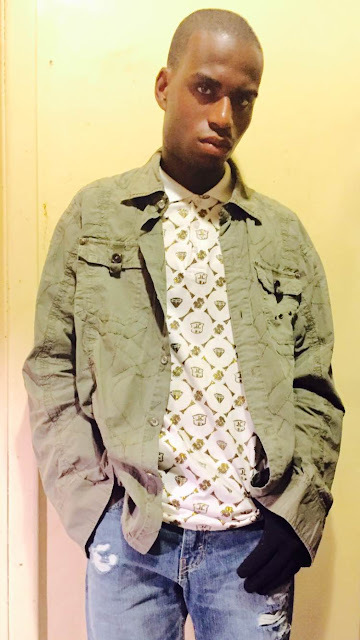 Today's #MCM (Monday's CLASSY Man) Award goes to the poet Darrell Herbert also known as The Artivist. 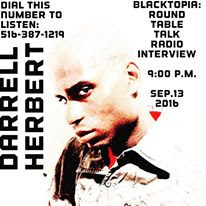 Darrell Herbert is an amazing songwriter and poet and he will also be a guest on Blacktopia Presents Round Table Talk Radio on Sept. 13th Tuesday at 9:00 PM EST with hosts Barbara the Cuntry Cleaning Lady, Some Guy Named Jay and Ms. Marie Jones. You can click the link to listen OR call (516) 387-1219 to stream from your phone. Press 1 to get into the queue to join the discussion when we start to take calls. 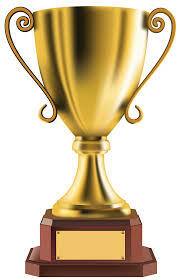 Darrell Herbert we are glad to have you as a member of the future of Black Society, BLACKTOPIA.